In the hottest month of the year, September 2018, a refreshing new concept kicked off in Scharloo Abou! Curious? Head to Scharloo Abou to find out! 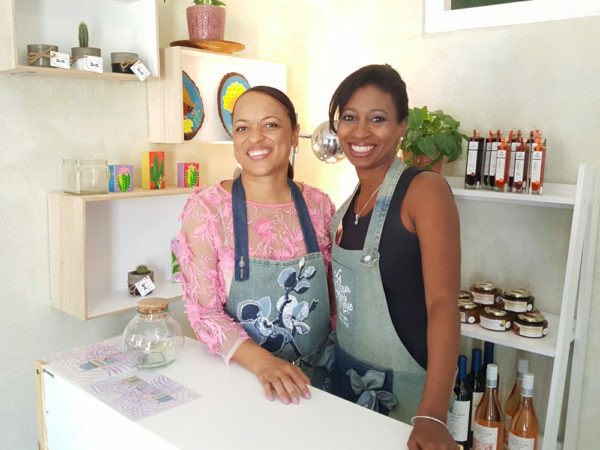 Fleur de Marie Eatery is a combination of a shop, a cooking class facility and a cozy cafe-restaurant. They serve a healthy fusion of delicious meals for breakfast and lunch. They are open monday to friday from 9:00am to 4:00pm. Breakfast is till 12:00. The name might be slightly confusing as it suggests that it is located in Fleur de Marie, but it’s not, it is on the border to the side of Parke Leyba. You can sit inside in a cooled area with a stylish but zen look. Or opt to sit outside under the tree of their outdoor patio, in the garden they started growing herbs and veggies that they use in their meals.